The failure of the German army to defeat the D-Day landings galvanised traditional conservative German officers to kill Hitler and shorten the war, at least in the West. The planning of this unsuccessful plot hatched by Colonel Claus von Stauffenberg on June 20, 1944 is the subject of the 2008 film Valkyrie, the code name for the operation to disarm the SS and arrest the leading Nazis after the death of Hitler. This worthwhile if flawed film stars Tom Cruise who delivers a credible performance as Stauffenberg, a disillusioned and righteous Nazi. Cruise is able to convey Stauffenberg's personal courage in that he did not back out of the plot even after recognizing the dangers that the assassination attempt would pose to both himself and his family. Yet I did wonder how the talented Austrian actor, Christoph Waltz (Inglorious Basterds, Django Unchained) would have played the role. The pivotal moment in the plot occurs when von Stauffenberg placed the bomb under a table at Hitler’s Wolf Lair, his eastern headquarters. The film shows the last-minute change of the meeting from an underground bunker to an above-ground boardroom where the bomb is left, but had I not read Hanson’s book, I would have missed its significance. Had the weather been cooler, the bomb would likely have succeeded in killing Hitler. The change in venue ultimately reduced the impact of the explosion, allowing Hitler to survive. Stauffenberg, however, left the retreat before he determined whether or not he had killed Hitler. The film ends with his execution along with some of the co-plotters and does indicate that the Nazi regime ruthlessly hunted those who engaged in resistance activities, but fails to mention that the greater population also stigmatized them as traitors for years after the war. The aborted plot led to 700 arrests and 200 executions. More important, the film presents a misleadingly unified picture of the resistance. In reality, the conspirators' relationship with the regime was much more complex, and that is one of the reasons why Hanson’s book is so valuable. 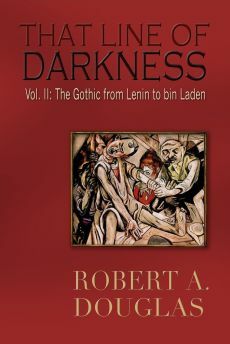 He provides evidence that some were war criminals and most opposed the widespread killing of Jews, but all believed that Jews should have a reduced role in post-war Germany. Most were active supporters of the regime and only turned against Hitler after they realized how destructive and nihilistic he and his minions had become, a trend that sharply accelerated after their deaths. Hanson provides a small window into what might have happened if the coup had succeeded. In Paris without firing a shot, the resisters took control of the city by arresting the SS, the SD (German intelligence) and the entire Gestapo apparatus only to release them when it became clear Hitler had survived. The first part of that scenario likely would have occurred throughout Germany and the occupied territories had Hitler been killed. The war would have been shortened and countless lives spared. Long before D-Day, as German losses mounted on the eastern front in Russia, Hitler repeatedly decreed there would be "no surrender"—that soldiers of the Wehrmacht would fight to the last man. On March 19, 1945, Adolf Hitler issued the Nero Order which commanded army generals and Nazi regional governors to destroy the infrastructure of the German state—its roads, bridges and utilities—anything that might fall into the hands of the advancing Allied armies. In his pathologically irrational mind, defeat showed that the German people had betrayed him and proved themselves unworthy of surviving the racial war to which he had committed them. Germany should therefore be destroyed. Although fanatical ideologues still enforced Hitler’s instructions to execute anyone perceived to be a “traitor,” the promulgation of the "scorched-earth" policy finally tipped many of Hitler’s closest associates both within the German army—the Wehrmacht—the Nazi Party, and most interesting, ordinary civilians to finally, and often surreptitiously, turn against the Fuhrer. And those stories comprise the best parts of Hanson’s book. That opposition likely prevented Germany from being reduced to further rubble and enabled both the country’s post-war physical reconstruction and moral resurrection. Hanson offers a nuanced reading of the ambiguous role played by General Dietrich von Choltitz, the military governor of Paris, in deflecting Hitler’s instructions to defend Paris to the last bullet and failing that to destroy the entire city, its monuments and infrastructure, turning it into “a heap of rubble.” The Prussian aristocrat was not, as some writers have suggested, another Stauffenberg who became a resolutely anti-Nazi and single-handedly saved the City of Light. Choltitz, as a veteran of both wars, was a hardened soldier who in his earlier career demonstrated brutality and fanatical obedience, suggesting that he might have been a war criminal. Hanson contends that sufficient evidence does not exist to establish a convincing case of his guilt or to exculpate him. In consultation with two colleagues, Choltitz decided that the city’s demolition, that would have left tens of thousands dead and erased centuries of art, architecture and civilization, served no military advantage. He neither ordered the torching of the city, the use of shells that damaged buildings, nor destroyed its gasworks or bridges, ensuring that Paris was in better physical shape at the end of the war than London. But he had to convincingly mislead Hitler and the other more fanatical military commanders and SS. He also had to respond to the provocations of the resistance movement, particularly the Communists who called for a full scale uprising regardless of the human costs. (Hanson is very good at highlighting the differences between the militant Communists and the pragmatic Gaullists.) Choltitz shrewdly listened to a Swedish businessman, Raoul Nordling, who warned him not to have prisoners executed and not to torch parts of the city in retaliation for the uprisings. In return, Nordling became his emissary to the Americans to inform them that he would cooperate in surrendering the city, but only after offering a token of resistance. The relationship between the two men is the subject of a new film, Diplomacy directed by Volker Schlöndorff, a film I have not yet seen. I suspect it is churlish of me to expect a political historian to draw upon and critique films—although he delivers several zingers against Is Paris Burning, a popular journalistic account of the liberation of Paris published in the early 1960s and later made into a film—but I think a discussion of relevant films would have enriched his important study. In one brief allusion to Oscar Schindler, Hanson usefully references a biography, but not Thomas Keneally’s novel, Schindler’s List, or the more famous movie based on the novel. Hansen no doubt would reply that historical fictions or dramas are not reliable historical documents but could he not have exercised the same careful evaluation with them that he does with the problematic postwar memoirs whose authors clearly had a vested interest in overstating both their motivations and their impact on the war’s outcome? I suspect that there are fictional elements in these memoirs. 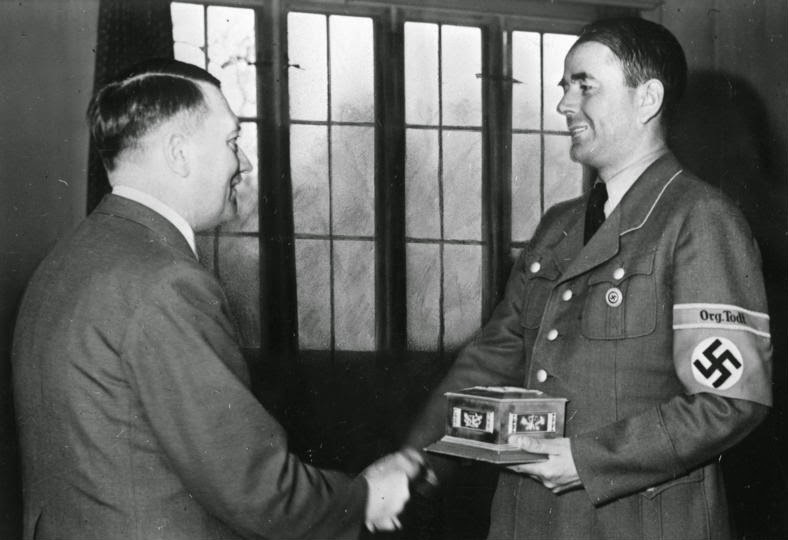 Probably the most familiar material in Disobeying Hitler are the two chapters that focus on Hitler’s former architect, Albert Speer, the man that Hitler most admired, who used his position as head of the arms industry to circumvent the Fuhrer’s scorched earth orders. In his post-war autobiography, Inside the Third Reich, Speer takes credit for singlehandedly saving Germany from complete devastation. Unlike other historians and biographers, Hanson does not accept this statement but he does provide convincing evidence that Speer did disobey Hitler. Speer succeeded in part by ordering the regional governors and military commanders to “disable not destroy” German industry and infrastructure so that when Hitler’s armies pushed back the Allies they could be made functional again. It was subterfuge but it bought Speer, and Germany, time. Speer saved electricity, water, sewage, and transportation systems. He was head of the Nazi manufacturing network and managed to save almost all of the factories that Hitler had ordered destroyed. Even when the illusion of victory could not be maintained, Speer is able to take full advantage of his special relationship with Hitler and agree to the Nero order if he alone was responsible for executing it. 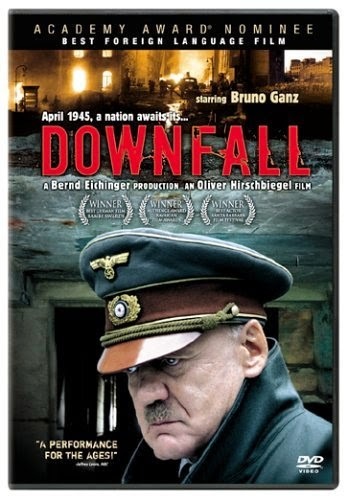 Speer’s ability to finesse Hitler’s rage is vividly dramatized in the 2004 German film, Downfall, which charts the last ten days of Hitler’s life. Through quiet subversion, Speer is able to prevent the flooding of coal mines and the destruction of machinery while saving bridges allowed Allied troops an easier and faster advance. Some commanders, realizing that the war was over, put their own lives at risk by refusing to destroy property and kill civilians. Others went even further, and saved entire communities by negotiating local surrender deals with commanders of American, British, French and even Soviet forces advancing across Germany. Yet some local commanders did follow the Fuehrer's orders by executing civilians and soldiers who looked to end a futile battle and then they cowardly fled. Speer and other military commanders did not save Germany alone. Even though Speer ridiculed their efforts, it took the courage of thousands of soldiers and civilians from across the political spectrum—Communists, Social Democrats and in at least one case, a Nazi police officer—to save Germany from ruin. 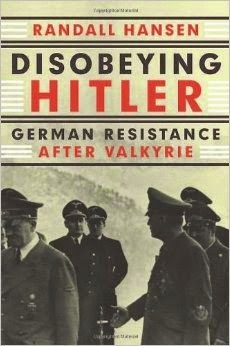 Hanson’s account of their efforts is the most ground-breaking and constitutes the most moving part of Disobeying Hitler. Although some of the revolts were instigated by soldiers against the Nazi party and the SS, most were organised by local mayors and ordinary citizens, some of whom had formed resistance groups that were waiting for the approach of the Allies before taking any action. They were emboldened by the realization that the Germans were about to be defeated and that the centralized military command was breaking down. 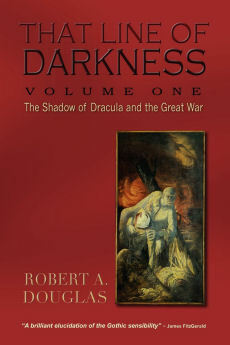 One of the most interesting chapters in Disobeying Hitler is about how citizens of Dusseldorf rebelled against its fanatical local commander, Friedrich Florian, who had refused to heed Speer’s entreaties not to implement the scorched earth policy by ordering the mining of the bridges that would be detonated with the arrival of American troops. No one should underestimate the courage of civilian resistance given that Hanson provides a number of examples of individuals who were tortured and shot if anyone was suspected of harboring a deserter, displaying a white flag or indicating even the mildest expression of “defeatism.” Yet an Anti-Fascist Combat Organization, the Antifako, distributed leaflets encouraging civilians to join resistance groups and soldiers to desert in order to sabotage the regime’s policies, including the destruction of their city. Its’ activities bear some similarity to the White Rose movement whose members were executed in 1943, a comparison that Hanson may have explored more fully, although he does suggest that the Dusseldorf resistors might have been inspired by the example of Stauffenberg. Two members of Antifako managed to make contact with the Americans and were in the first two tanks that rumbled into Dusseldorf to the welcome of white-flag wavers. And those mined bridges: someone did not pull the switch or was prevented from doing so. The success of this effort came at great personal cost. Many of the revolt leaders were captured by loyal Nazi forces and executed after which the despicable Florian fled. 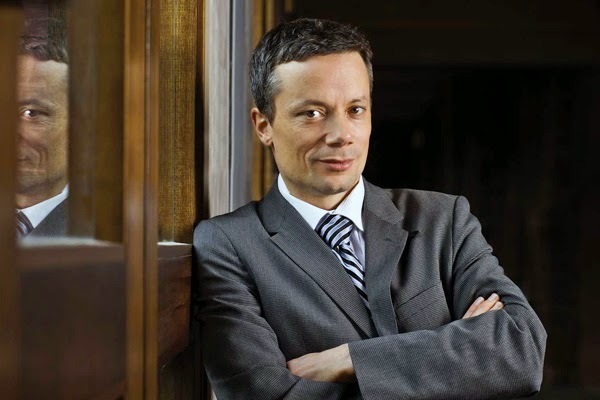 Overall, Hansen judges opposition to the Nazis a success. More than one half of German towns surrendered peacefully, helping to end the war sooner than would have been the case and at less human cost. Hansen’s absorbing book is a fine tribute to the courage that many ordinary Germans displayed in the last days of the war that prevented their cities from turning into rubble. For them what happened in 1945 was not defeat but liberation; the German army and worse the SS signified death and murder. They defied Hitler; the lucky ones lived to tell the tale. Two German films have dramatized the heroism and sacrifice of members of the White Rose movement. Perhaps it is time for a film to commemorate the local military and civilian resistors in the last months of the war.